It sounds like a great spot, the perfect setting for a novel of pirates, however the New Caledonia really exists and it is fabulous. It is a French overseas collectivity, located in the southwest Pacific Ocean, very close to Australia and New Zealand. It is a major island, Grande Terre, where there is also the capital Noumea, and a number of smaller islands, Isle of Pines and Loyalty Islands (Lifou, Mare, Ouvea). 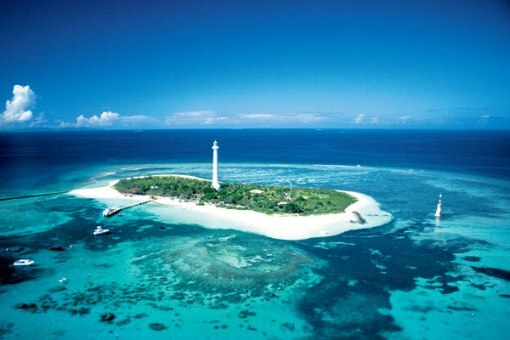 New Caledonia is an ideal destination for those who love nature, the sea and its many activities, from sailing to snorkeling. The beauty of these islands is also recognized by UNESCO, which declared World Heritage some sections and the entire lagoon of Ouvea’s island. The islands are rich in vegetation and there is a coral reef still intact, even visible to the shore; the beaches are sandy but just walking slightly towards the inland mountains to find the bright red color: on Grande Terre’s highest mountain reaches 1,600 meters. New Caledonia is also the destination for lovers of bird watching: the islands boast more than 22 endemic species, including a particular bird named kagou, symbol and mascot of New Caledonia. The beauty of this place lies in its original charm still intact and preserved: the biodiversity is protected as evidenced by the establishment of the natural park of the Coral Sea is one of the largest marine protected areas in the world, which also protects very deep waters and 25 species of marine mammals, 48 sharks, 19 of nesting seabirds, 5 turtles.